Top Ten Tuesday is a meme created and hosted by The Broke and the Bookish. This week's topic is: Top Ten 2016 Debut Novels I'm Looking Forward To. In my latest Kickin' It post, I talk about some of the novels I'm looking forward to in the new year but it's time to say hello to some new authors, new books- it's going to be a good year. Into the Dim by Janet B. Taylor (3/1): From my binge-watching of Outlander last month, came a strong desire to travel to Scotland. It seems that is where time travel is to be had. In an amazing story, Hope studies abroad in Scotland and discovers how she can change the past by going back and saving her mother. If I could preorder it now, it would be done already. Love and Gelato by Jenna Evans Welch (4/12): You know how much I love reading these summer flings abroad novels. This time, we are in Italy, falling in love with a country and a boy who I'm sure is as gorgeous as ever. As much as that is why I'll be reading, the protagonist is in Italy, not to enjoy the scenery or cute boys, but to tend to her dying mother. And when she discovers her mother's journal, it opens her eyes to a different Italy than she has seen. Pretty awesome. The Museum of Heartbreak by Meg Leder (6/7): I call this genre: Contemporary Sadness. You have to take this genre in intervals because reading one after another will probably make you depressed. However heart wrenching, I always find something amazing about these types of books. It is most definitely bound to happen about this one. Bookishly Ever After by Isabel Bandeira (1/12): Every reader has imagined them self in a book, I assure you. Bookishly Ever After is for the reader in all of us whose protagonist is finally given the chance to meet the guy, fall in love and live happily ever after- just like our favorite books. I can tell there may be a cuteness overload with this one. The Year We Fell Apart by Emily Martin (1/26): Another contemporary sadness book. But if you like Sarah Dessen then The Year We Fell Apart sounds like a great read. When Harper's mom is diagnosed with cancer, everything seems to come apart at the seams. Then she meets Declan and through her new friendship, she is finally able to fix and cope with the things from her past. The First Time She Drowned by Kerry Kletter (3/15): When I was looking for some new books to wait on for next year, I came across this one. All I had to do was read the title. I was so intrigued: the first time? Is there going to be a second? Is she okay? And then I read what it was about. She was "dumped in a mental institution" by her mom. As much as that mom won't be receiving any awards, this book might. Blackhearts by Nicole Castroman (2/9): Yes, a pirates book! Plus, a retelling! Blackbeard in love. I am definitely on board for this one! 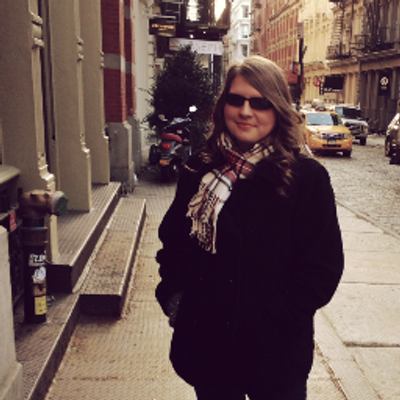 The Distance from A to Z by Natalie Blitt (1/12): Abby wants to do only one thing this summer and that is get fluent in French. (Maintenant, j'aime ce livre!) However, her partner turns out to be that annoying boy from English but when he speaks French, sparks fly. Can't wait! The Star-Touched Queen by Roshani Chokshi (5/3): A fantasy that has a touch of mystery is definitely something I would be into. When an arranged marriage, fortunately, turns out to be lovely, the wife-- the queen-- discovers her life may be in danger. Inspired by Indian mythology, The Star-Touched Queen is a gorgeous, magical fantasy you don't want to miss! 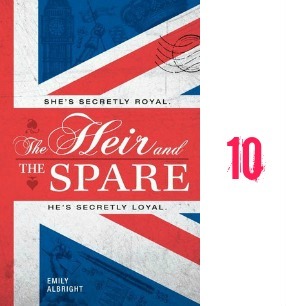 The Heir and the Spare by Emily Albright (1/18): I didn't really learn much from the synopsis-- it just left me with more questions which is why I must read this as soon as it released! Which one is the spare, as Edmund is the prince and the American girl is an heir. It sounds awesome, mysterious and, yet, still realistic. We shall see. Which 2016 Debut Novels Can You Not Wait For? I don't read a lot of YA contemporary, but Bookishly Ever After really appeals to me. I am going to give it a go. Here's hoping that we both like it. Yes! to Into the Dim and Blackhearts!!! I considered a lot of the same books for my list (and picked some of the same ones as well). Plus, I see more books to add to my TBR list. Thanks!!! Here is my TTT list. I have Blackhearts and The Year We Fell Apart on my list as well! And even though I didn't include it on my list, I am really excited for Bookishly Ever After. Good list!! Into the Dim made my list too, though I was technically reading it while writing up the post! LOL! The Distance from A to Z looks like a fun read too! Oh gosh, SO MANY wonderful books are coming out in 2016! I think I'm the most excited for The Heir and the Spare (though I'm not a huge fan of the cover) and Bookishly Ever After!